Omega Race is a vector graphics arcade game by Midway. 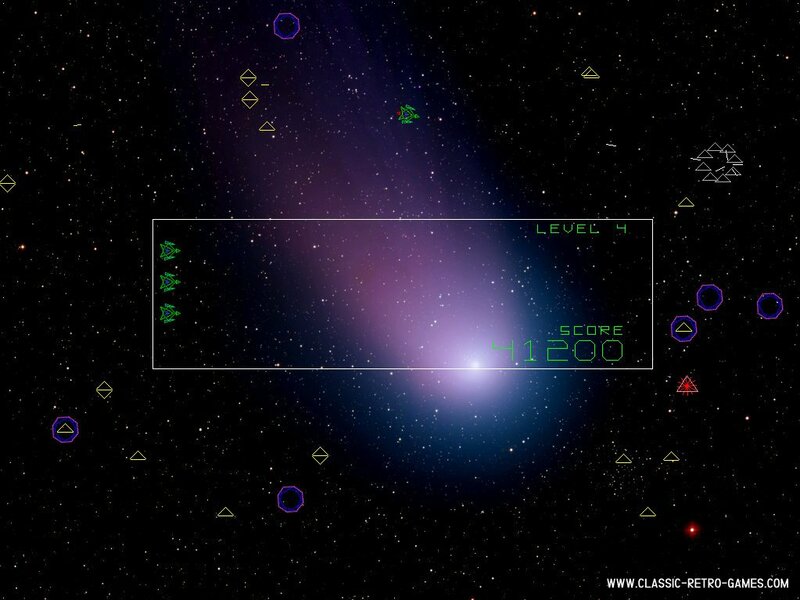 The game takes place in one static screen and you have to dodge the mines and destroy enemy ships. 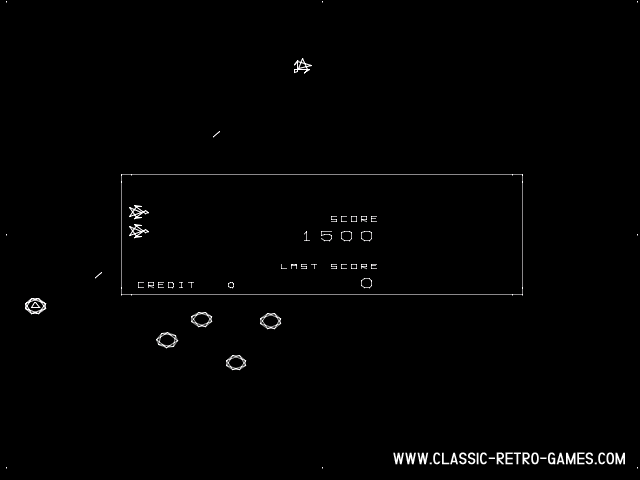 This game was released as an arcade game in 1981. Later on it was also released for other platforms. Currently rated: 5 / 5 stars by 3 gamers.